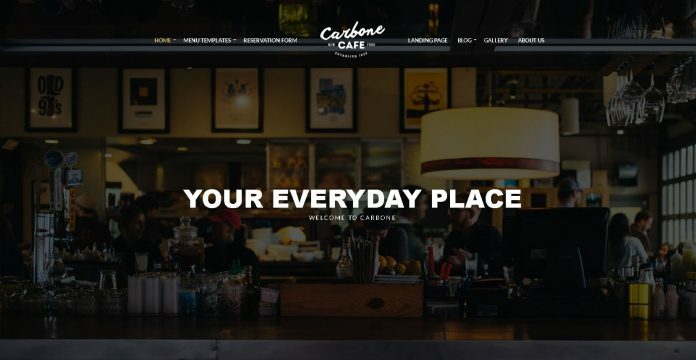 Carbone by CSSIgniter a responsive premium WordPress theme for your Cafe and Restaurant business. Carbone includes more than 100 customizer options you can configure Carbone the way you want it. Carbone features a built-in custom post type that allows you to create menu items quickly and hassle-free. Split your menu in categories, add descriptions and prices, and showcase your offerings with a beautiful listing template or widget. Use a simple form, a booking management plugin or integrate your favorite service like OpenTable. SEO Optimized to help you rank higher in search engines like Google, Bing or Yahoo!